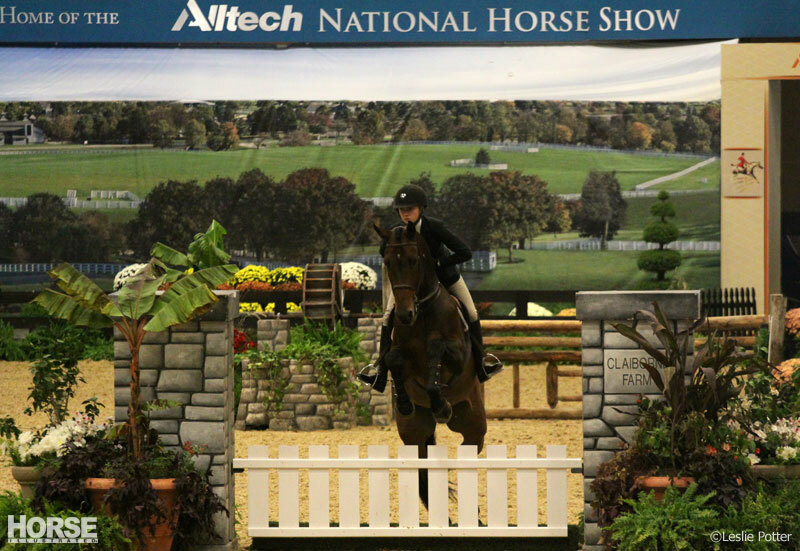 The 2013 Alltech National Horse Show (ANHS) drew to a close on Sunday afternoon with the ASPCA Maclay National Final. This major equitation event was the capstone of nearly a week of top-level competition at one of the nation’s historic horse shows. 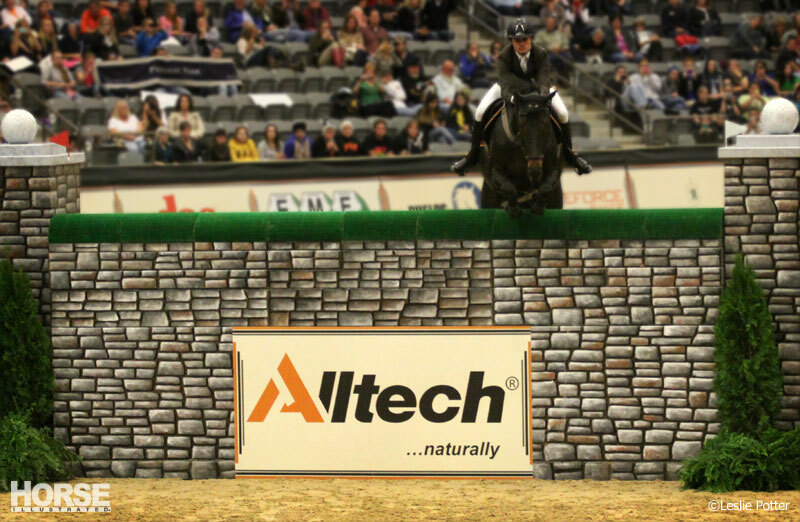 This year marked the third for both Alltech’s title sponsorship of the show and of its location at the Kentucky Horse Park. 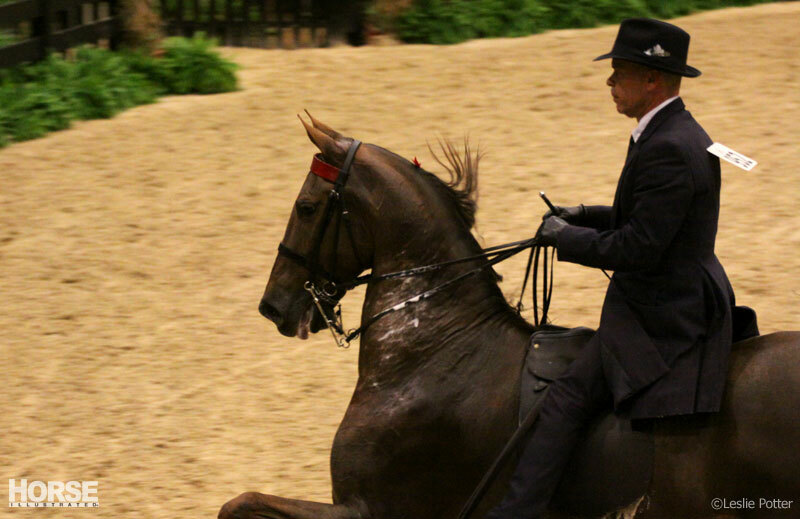 For results, links to on-demand video coverage and more information about the Alltech National Horse Show, visit AlltechNationalHorseShow.com. The hunter division took place during the daytime sessions, when admission was free for exhibitors. Kelley Farmer, one of the busiest riders in the hunter division, shared a quiet moment with Quotable at the show on Wednesday. Show turnout for the hunter division is notoriously conservative, but braiders had some fun this year, incorporating the show’s signature orange-and-black color scheme. 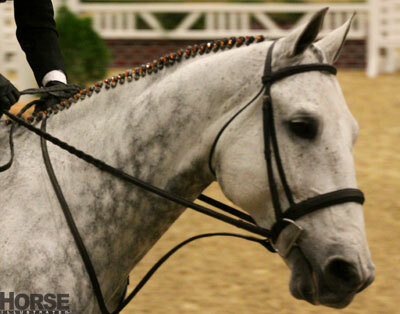 The ANHS offered a $2,000 incentive for the best braiding of the show. 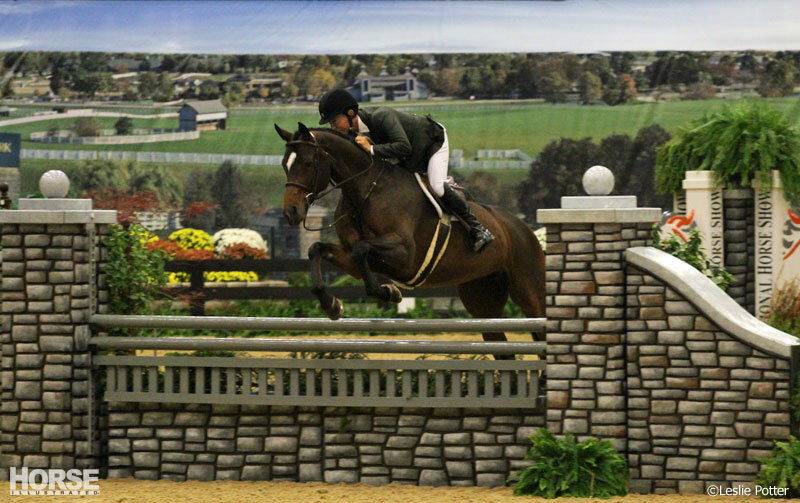 The ANHS is an intersection between the hunter/jumper and Saddlebred show circuits. 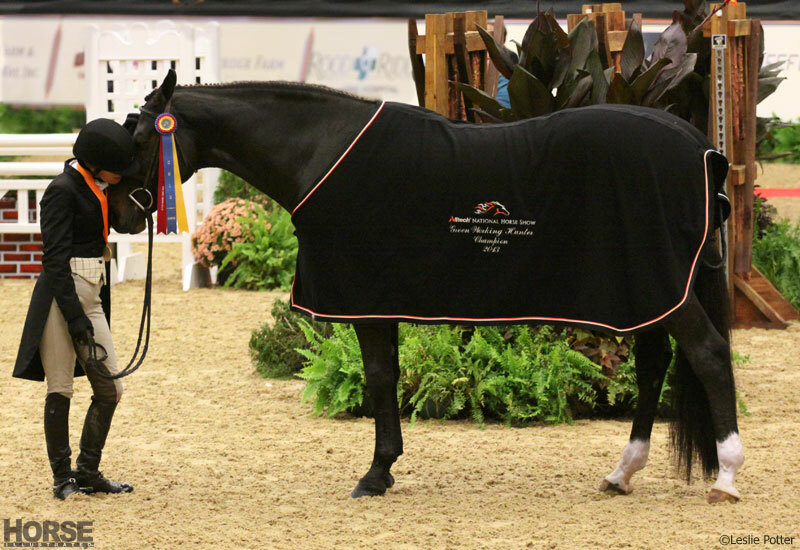 This year, professional riders from each division–including Olympic show jumper Laura Kraut, above–switched places in the first ANHS Breed Challenge. See more photos from this fun class in The Near Side. 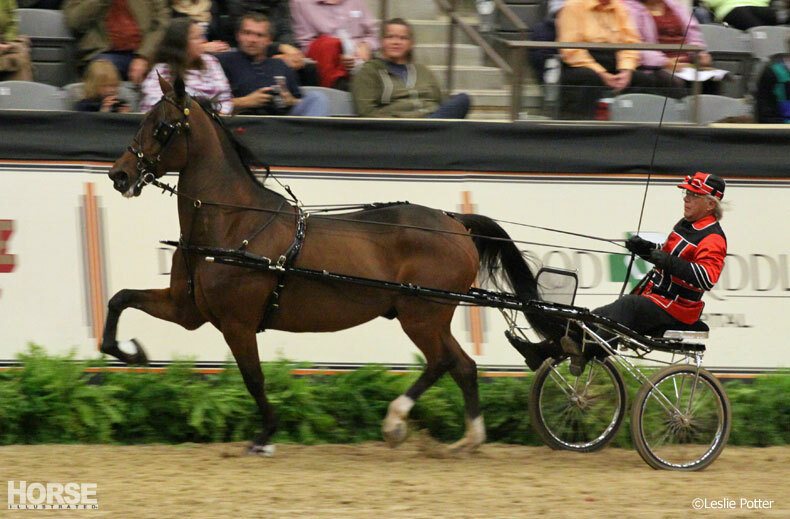 The roadster division, which features Standardbred horses showing at three trotting speeds–fast, faster and blazing–is a spectator favorite. 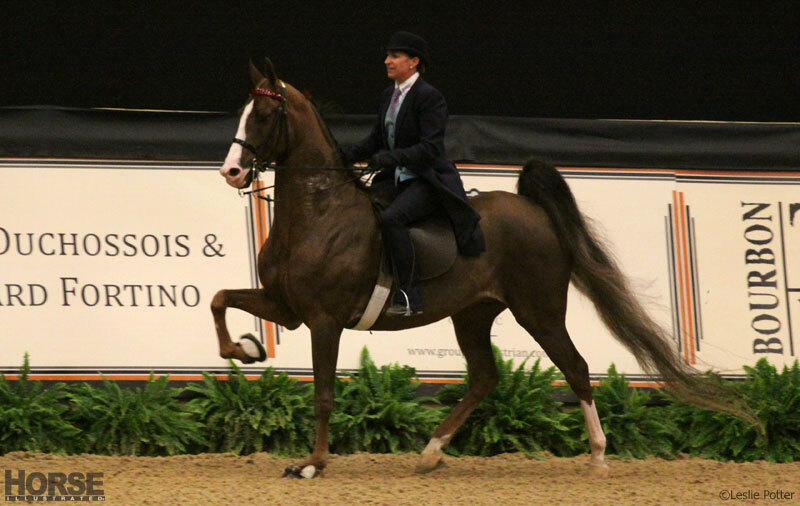 Candalight and David Rudder racked away with the five-gaited amateur/juvenile championship on Friday evening, the final class of the American Saddlebred division. Friday night was Barn Night in the Bluegrass, where groups from different stables showed their spirit to win prizes. 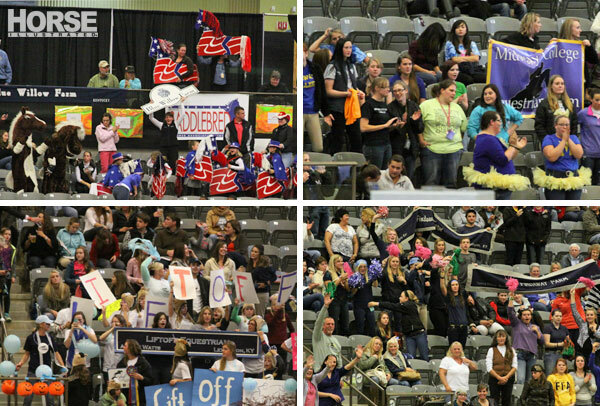 Clockwise from top left: Blue Willow Farm; Midway College Equestrian; Findaway Farm; Liftoff Equestrian. This year, the ANHS added some new entertainment to the program including demos by American Parkour. 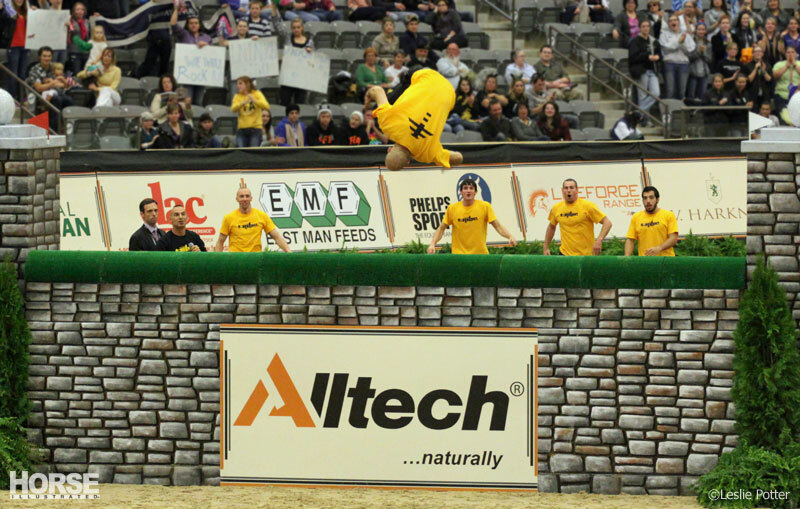 A member of the American Parkour performance team impressed the crowd by clearing the puissance jump, which started at 5’9″. 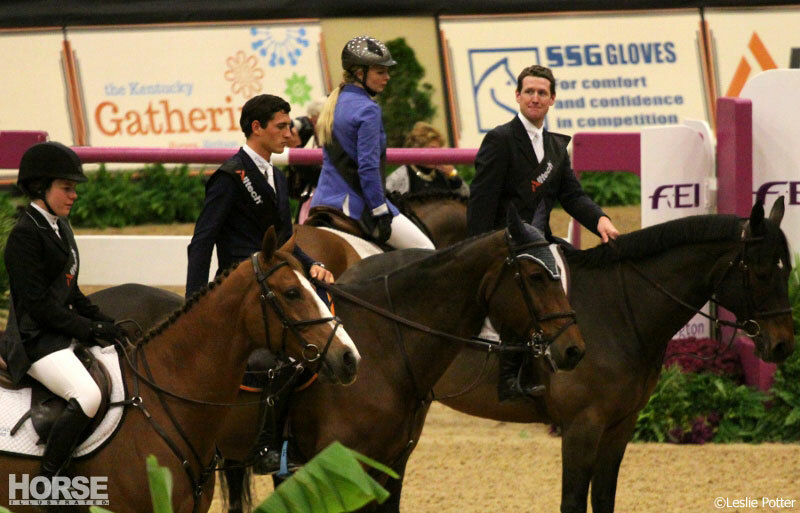 Tim Gredley of Great Britain and Unex Valente won the puissance on Friday night, clearing a height of 7′. Young Rider Katie Dinan and Nougat du Vallet had one of only four double-clear rounds in the first round of Saturday night’s $250,000 Alltech Grand Prix. They went fast and clear again in the jump-off to win the headline event of the ANHS. The student has surpassed the teacher: Dinan’s trainer, three-time Olympian McLain Ward (right), smiled as the national anthem played for his student. Ward finished fourth in the class with Rothchild. 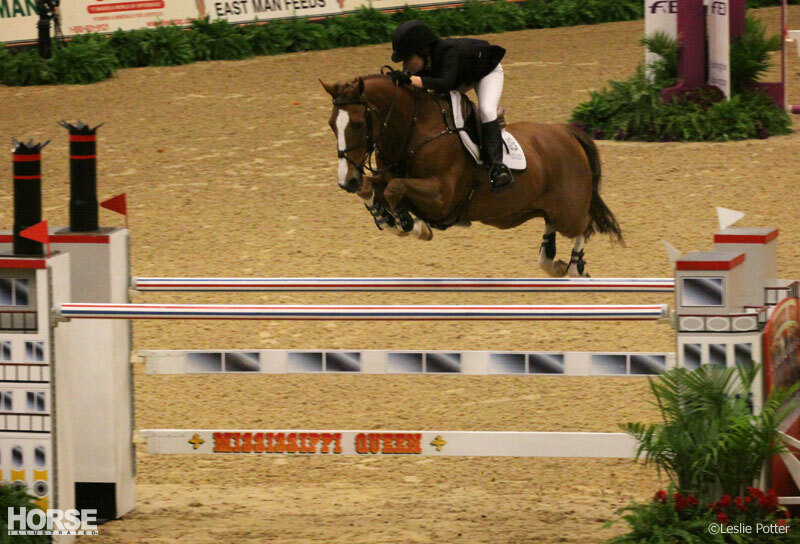 Lillie Keenan is an accomplished rider in several different divisions, but the ASPCA Maclay Final had eluded her until this year. After several top-ten finishes in previous years, Keenan finished first in the Maclay Finals with Clearway on Sunday afternoon. wow!! What great pictures…its like being there.